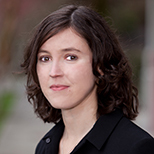 Madeline Ostrander is freelance science journalist based in Seattle. Her work has also appeared in The New Yorker, Audubon, and The Nation. Reporting for this story was supported by a grant from the Fund for Investigative Journalism.